The car was sold at an online auction for vintage cars conducted by AstaGuru auction house. The car had all the originals parts and accessories intact with an estimated value between Rs 8-12 lakh. 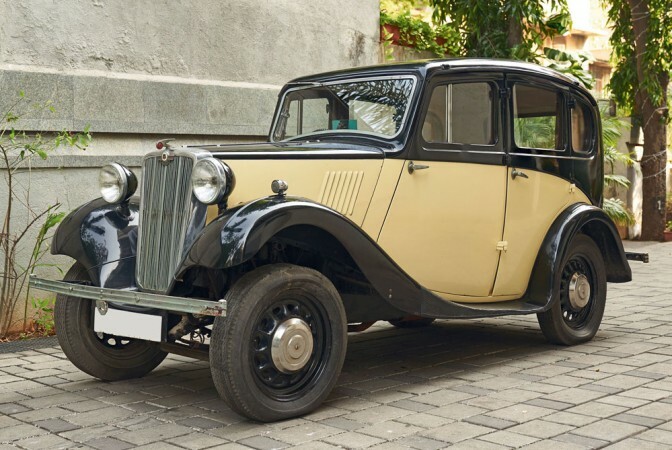 The 1937 model Morris 8, which was used by late artist MF Hussain, was sold at an online auction for Rs 17.74 lakh to a businessman in Mumbai. The vintage British-made car that the artist owned had a gray and black paint. It was restored and repainted to beige and black after his death. The car was kept at his Mumbai residence. While members of the Hussain family were unavailable for comment, AstaGuru said the car has been with the family since 1991. "The car is in working condition, and is a rare model as there are only a handful of them in India," said Siddanth Shetty, vice president of strategy at AstaGuru. "There have been no changes in the parts of the model since 1937", reports Hindustan Times. The Morris 8 was produced from the year 1935 to 1948 by Morris Motors. It followed the same styling of the Ford model Y, from which the car was inspired. The success of the car model enabled Morris to regain its position as Britain's largest motorcar manufacturer.